Crime, vandalism, terrorism, natural disasters, and everyday accidents are real concerns for many owners and managers of commercial and public buildings. A comprehensive, tiered security plan – offering multiple layers of protection is the best way to provide the highest level of protection possible. MX can help you inject an innovative and colourful solution to your defence plan by introducing digitally printed graphics to your glass and windows that not only creates a visually interesting, yet stylish graphic solution but enhances your brand, and delivers a practical level of security and peace of mind. We are proficient in working with a wide range of safety window films that are designed to provide an innovative and practical solution for extending your brand identity – whilst protecting people and assets inside the building if a breakage does occur – either as a result of a storm, vandalism or any other form of unexpected and unfortunate external forces. Safety and Security Film act as a digitally printed shield that effectively adds a simple layer of protection of security – meaning that if a window gets damaged, then the film acts as a protective barrier and prevents shattered glass becoming airborne by keeping the area largely intact – holding glass shards in place to minimise damage or injury from shards of flying glass – protecting people and property alike should an impact occur. Digitally printed safety window film are an innovative way of extending your interior decor design, branding and advertising – suitable for applying to glass partitioning, windows and doors -providing a creative, secure solution to protect the exterior of your building – not only do printed window graphics look great, but they can act as a deterrent to vandals or criminals, who could otherwise see what and who is inside the building. In some instances, windows offer an easy point of entrance – our range of safety and security films are also ideal for use in high-traffic areas with windows or other surfaces vulnerable to “smash-and-grab” theft or vandalism – providing additional defence benefits by increasing the amount of time it takes for criminals to actually break the glass in a window – making it more difficult for intruders trying to enter your building. This gives building occupants or security services more time to respond in the most appropriate and timely manner. 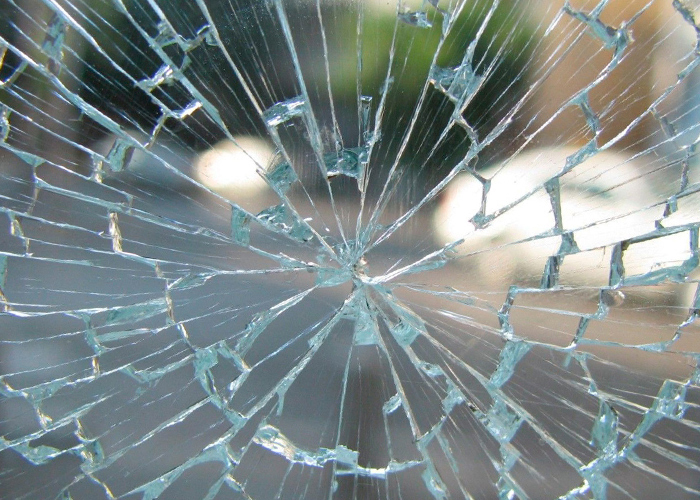 In some cases, safety and security films can actually discourage criminal activity if they have experienced previous failed attempts at breaking the window. Let us help you raise the style, performance and safety of your buildings – whether you are looking to improve occupant comfort, lower energy costs, enhance privacy, protect against graffiti or help deter thefts or terrorist attacks. Safety and Security Films are available in a wide range of thicknesses and composition ranging from 100, 175 to 200 microns.